Home Challenge Friday Challenge – How Would You Chart It? Friday Challenge – How Would You Chart It? 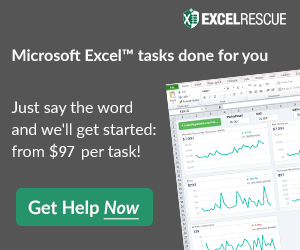 Today the ExcelDashboardTemplate.com Friday Challenge is up to you and your wildest imagination. An Excel chart newbie posted this data set and wasn’t sure the best way to represent the data in a chart for their company. Their first attempt was a combo chart with a column and line, but they wanted additional help. The data represents a company’s food drive statistics. The Challenge: Develop a chart(s) or dashboard in Excel that represents the donation data the best (in your opinion). Feel free to create any other statistics out of the base data for any other relationships that you wish to display/graph. Leave me a comment below and I will shoot you an email so that you can send me your solution. I absolutely love this blog !